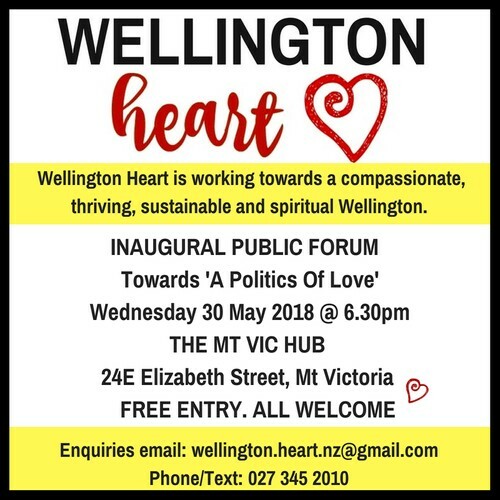 Wellington Heart will provide a public forum for those who believe we need a compassionate, thriving, sustainable and spiritual approach with love-based and value-based politics and economics towards social change. Based on Community, Creativity and Care, inspired by Max Harris and his book 'The New Zealand Project' in the creation of a fair and just society where as a group, we can learn, share, and empower each other. It is hoped this forum will connect people who feel alienated by “politics” with a lack of trust in our systems and bureaucracies. We will look at new models presented by Max Harris in his book 'The New Zealand Project' and Oliver Hartwich, from The New Zealand Initiative with his passion for introducing 'Localism' into our local government system. These will give us concrete inspiration as potential application here in the Wellington region. We will grow organically and be open to anything that happens, for the greater good of all people, which supports and encourages love, peace, trust and interconnectedness to lift the energy of our city, our country and our global world. Many of our current “care” public systems have become complex, focus on power and control, are deficient in values and are affected by hypocrisy. We need to move away from that model so that when our people and our communities need care and compassion, the support networks are there for them at their most vulnerable times. 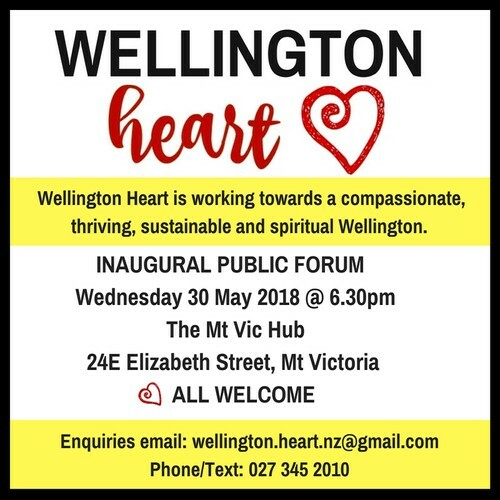 Wellington Heart is working towards a compassionate, thriving, sustainable and spiritual Wellington. Your voice is vital. Come and join us. Koha/Donations gratefully accepted towards cost of venue and refreshments.